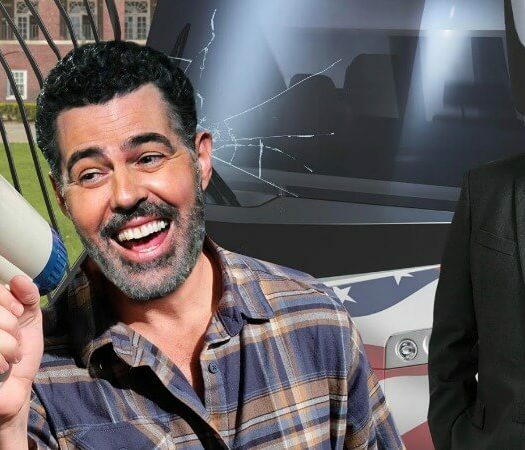 This conservative comic knows how to avoid Hollywood's partisan fury ... for now. Michael Loftus follows a simple rule when it comes to Hollywood. Don’t talk politics at work. That philosophy hasn’t kept him quiet off the set, though. Loftus shares his political views at The Loftus Party video page, its official web site and stand-up stages nationwide. Now, he’s taking his show on the road with some like-minded comics. Loftus is part of the new “Deplorables Tour” alongside Steve McGrew, Terrence K. Williams and The Deplorables Choir. At a time when the comedy world is overwhelming liberal, Loftus’ new tour offers a change of ideological pace. He shared more about the tour, why he doesn’t mind being friends with liberla pundits and some suprising insights into Sheen’s work ethic in the latest HiT ‘cast. Listen to “HiT Episode 92 Comedian Michael Loftus” on Spreaker. Please find Deplorables Tour venue updates at the group’s official Twitter account.- @deplorableshow. and drop by Michael’s official YouTube page for some smart, funny political videos.